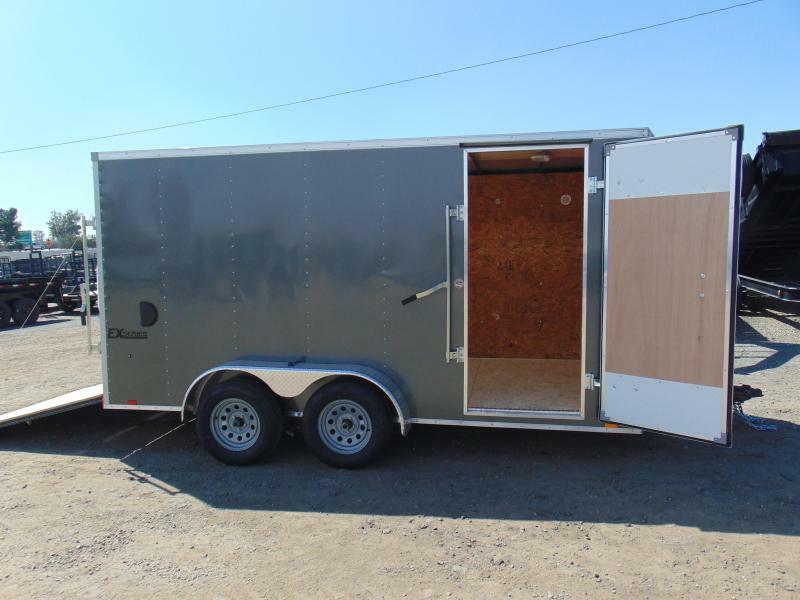 The XL SE 5-, 6- and 7' wide models are as versatile as they are condensed. 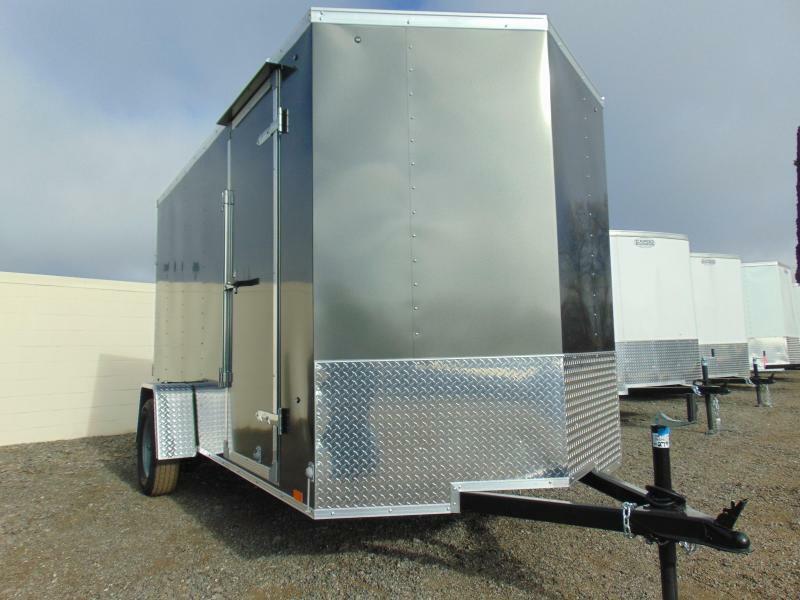 Constructed using tube main frames and 16" O.C. 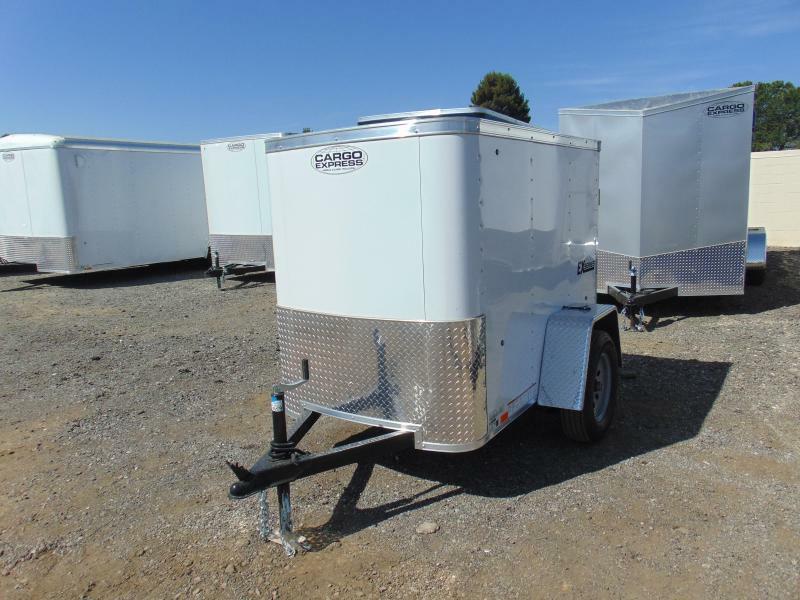 floor and sidewalls, these compact cargo trailers don't shy away from a serious day of heavy-duty hauling. 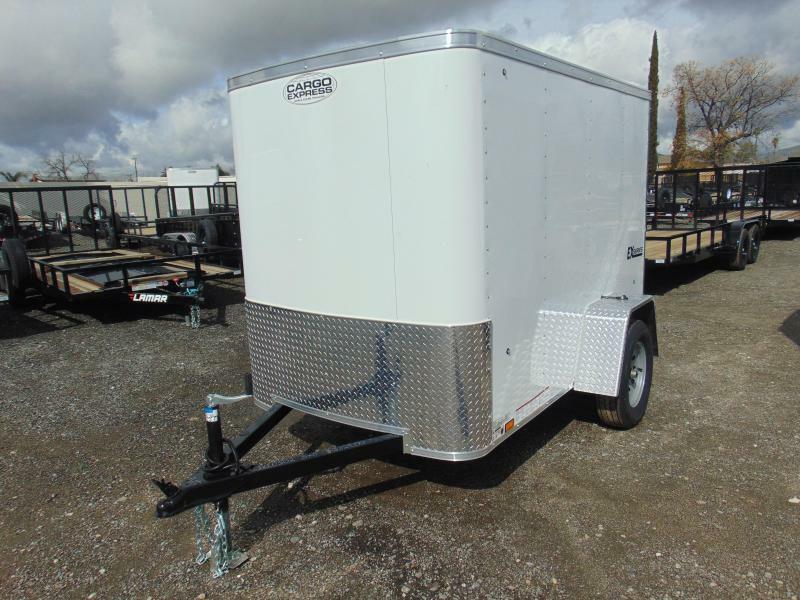 Feature-packed, the smaller XL SE's still bring 15" tires, a 2,000-lb tongue jack, as well as ATP fenders, nose and slanted stoneguard to the table. 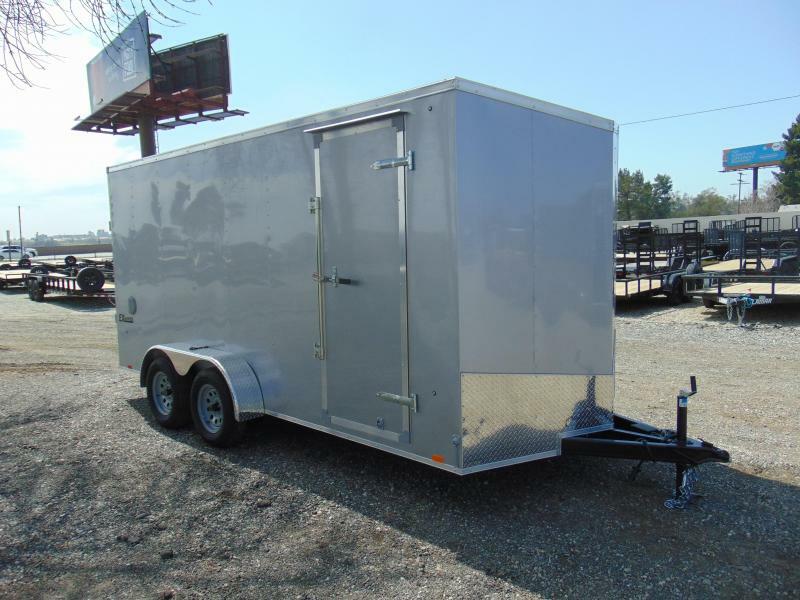 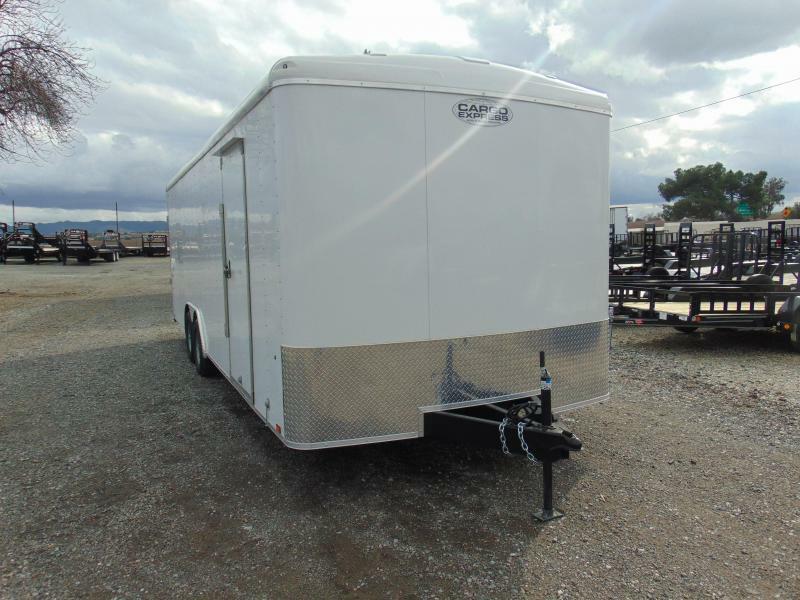 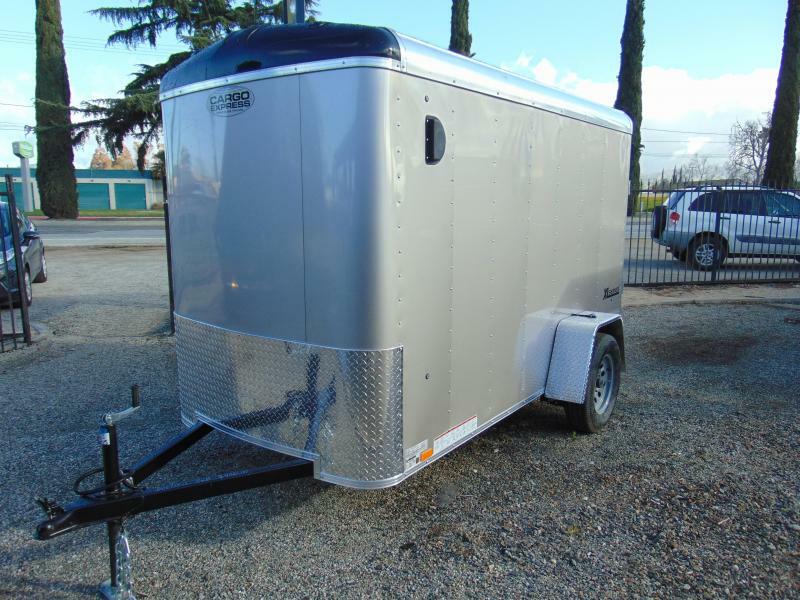 The one-piece aluminum roof, .030 aluminum screwless exterior and aluminum framed doors keep these compact trailers lightweight, but maintain the strength of the heavier models found on the market. 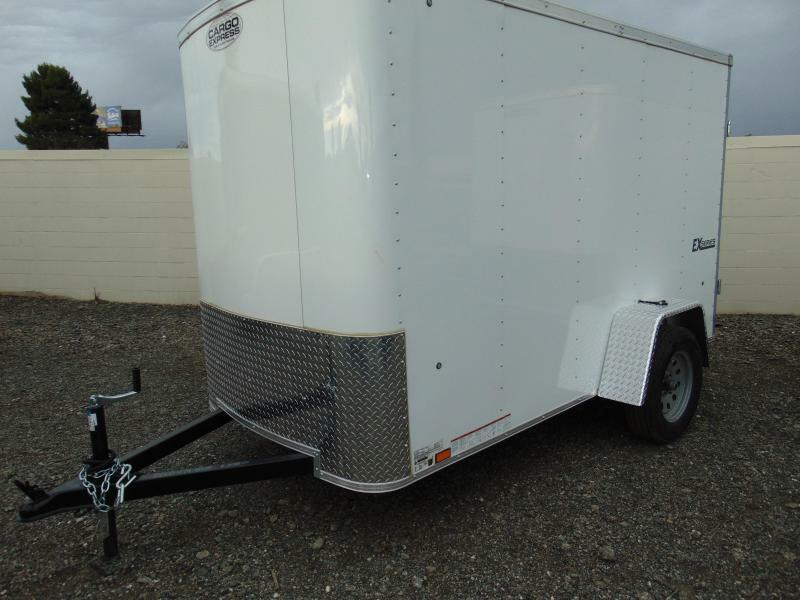 Want extra security when hauling fragile items? 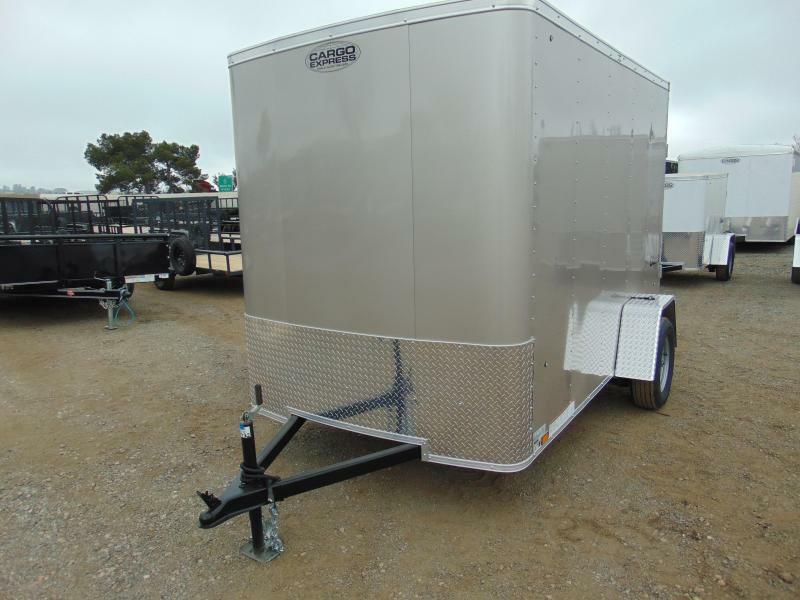 Upgrade to a brake axle and add surface mount rope rings to ensure your items remain in place through bumpy roads and sudden stops. 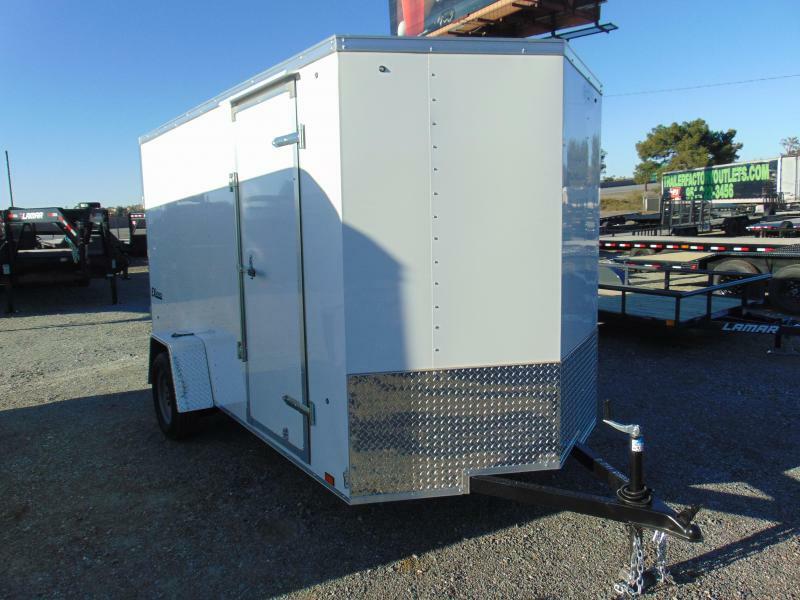 A non-powered roof vent can increase interior air flow, while a 2- or 3-piece ladder rack allows you to store extra equipment outside for ease of access. 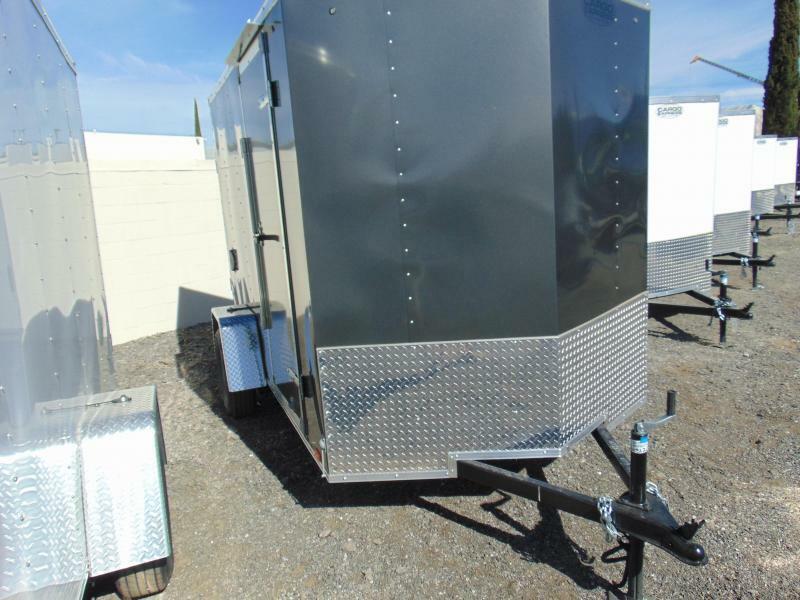 An optional 15" Radial spare tire and interior spare tire carrier keep you prepared for unforeseen events. 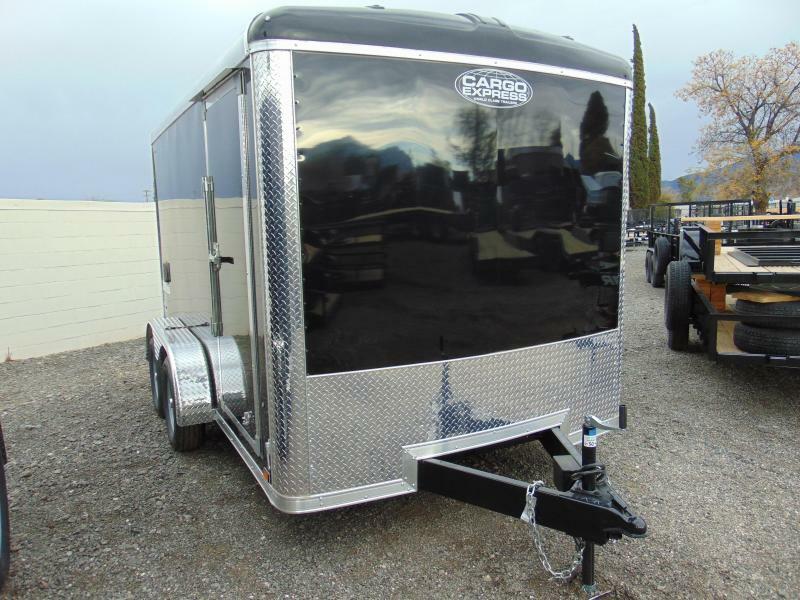 The XL SE cargo trailer was built for on-the-go agility, with standard features that make hauling look easy. 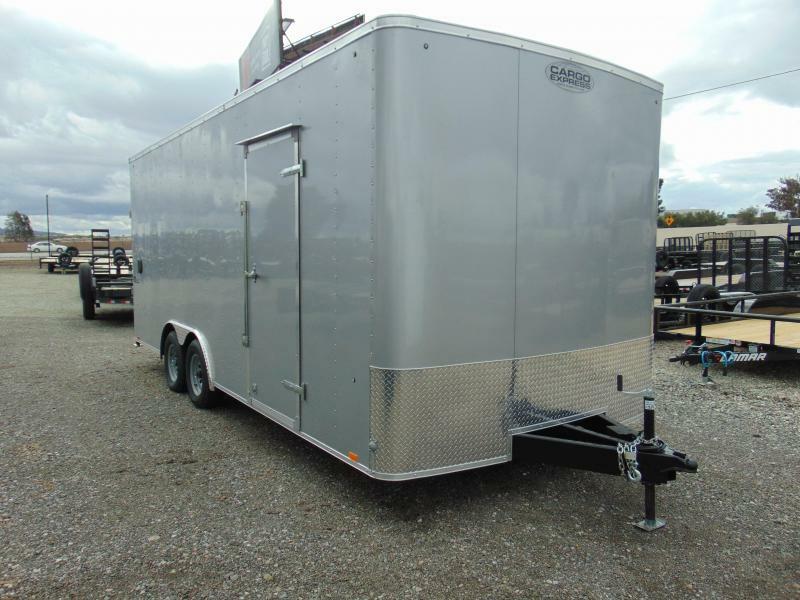 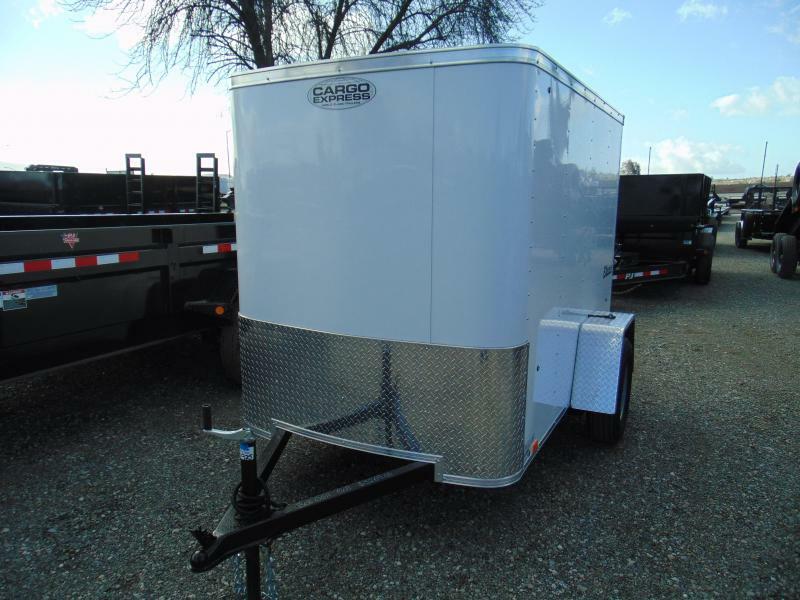 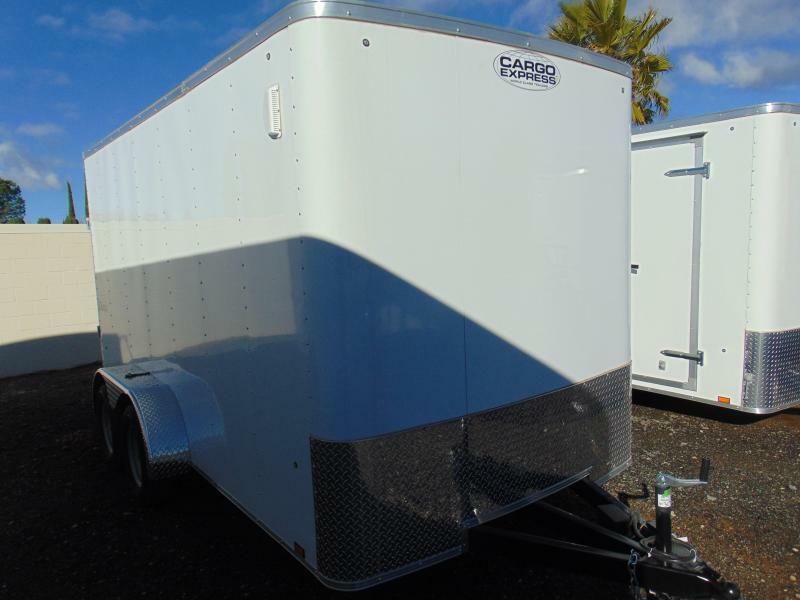 Stop by one of our Cargo Express trailer dealers to get your compact trailer today.